HOUSTON (KTRK) -- More than thousand people lined West Road in Cypress Sunday evening, walking in support of a Harris County deputy shot to death Friday night. Darren Goforth was one of their own. The marches set out from Crossbridge Church and West Houston Church of Christ. One minister expected a few hundred people. It was far more than that. "I see neighbors, girl scouts, people I haven't seen in years and it does my heart good," said one of hundreds of people who lined the route. Residents of an assisted living center stood, some of them using walkers, holding blue balloons. The march's destination was the gas station where Goforth was shot to death, believed to be for no other reason that he was in uniform, in an ambush. The accused gunman, Shannon Miles, who lived not far from the gas station is now charged with capital murder. 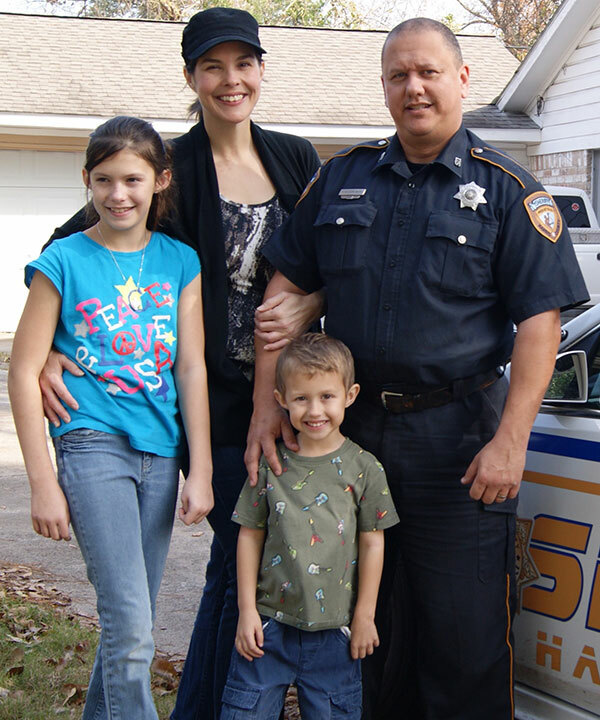 Donations have added up to nearly $50,000 so far to be given to the Goforth family. Christine Bossi organized the vigil, and created hundreds of ribbons for supporters to wear. "No one could have imagined all this," she said. "We're even hearing from companies willing to match some of the donations." 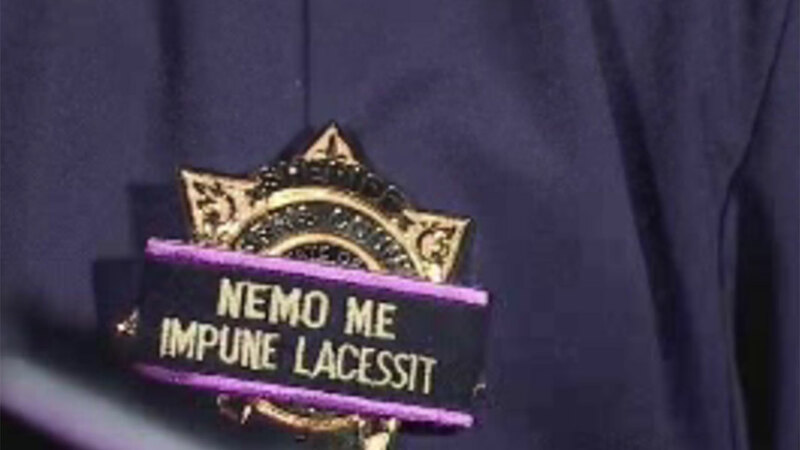 It may be the start of a bigger movement, in support of law enforcement. It has in Cypress. Darren Goforth's legacy is mightier than he might ever have imagined, in the community he protected and lived. But for his family, it comes at a terrible price.